The big news in the gaming world comes out of San Francisco where Tim Schafer and his team at Double Fine Productions have announced their plans to make a modern point and click adventure game. Even if you haven’t heard of Double Fine, you are likely familiar with their work which includes such notable titles as, Psychonauts, Brutal Legend, and Iron Brigade. Schafer, who founded Double Fine in 2000, previously worked on the LucasArts classics Day of the Tentacle, Full Throttle, and Grim Fandango. What’s unique about this upcoming title is that Double Fine is funding the entirety of this production through a kickstarter campaign. The project met its $400,000 goal in less than eight hours. At the time of this post, they had raised an additional $300,000. Double Fine’s philosophy of transparency stands in stark contrast to the “don’t call us, we’ll call you” attitude of studios such as Valve and Blizzard. There are times when it seems like Valve is going out of its way to troll its customers over the status of the next installment of the Half-Life series. Brilliant as it will be to live as a fly on Double Fine’s walls, I think their success speaks to a larger story on crowd sourcing. I’m of two minds when it comes to financing projects through websites like Kickstarer, Indiegogo, and the like. Some days it seems like a great way to collect money for projects that would otherwise go unnoticed. Other days it seems like the 21st century’s answer to wholesale digital begging. While I’m hesitant to make sweeping declarations on what should and shouldn’t be worthy of crowd funding – at the end of the day if it appeals to the masses it’s going to get money – I think there should be a general expectation that if a project that wants advanced funding from its audience, it should be doing something that exists outside of the usual fare. For example, a friend of mine wanted to crowd source what he called a “multi-media novel”. In addition to being a proper novel, the project included still pictures, video, power points and audio logs. Since selling something like that to mainstream publishers would be a little difficult, crowd sourcing an independent run seemed a good idea. But for every Avant-Garde project, there are the others. Democratization is generally a good thing, but the ancient Greeks knew that when something is opened up to the masses it invites the lowest common denominator. I don’t think I’m overstating things when I say that Double Fine’s use of kickstarter adds a significant amount of legitimacy to the process of crowd sourcing. If Minecraft was the first domino, then this might be the second in a sequence that ends at a studio whose primary business model is “You want it, give us x to get it started”. To invoke the language of philosophy, games could be made through a general will that sees the studio as sovereign and customers as the body politic. In such a relationship, the former would have a harder time acting against the latter as all parties have agreed to certain conventions before contracting with each other. Or in the language of business, gamers become stake holders in individual titles rather than a company as a whole. In that scenario the transaction between studio and gamer is less a licensing agreement and more a sale of non-voting stock. So who wants to help me track down the Two Guys From Andromeda and get a new Space Quest game? 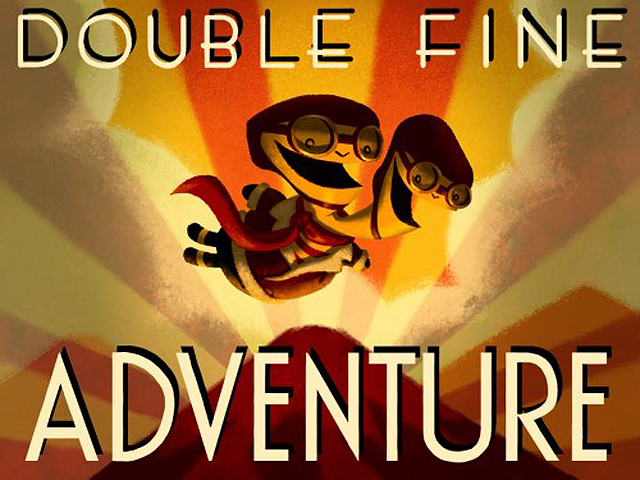 Despite hitting their goal, Double Fine’s kickstarter campaign continues for another 33 days. Here’s the link if you are interested in getting in on the ground floor. UPDATE: As of about 6:45 Eastern, Double Fine’s campaign crossed the million dollar threshold.